There seems to be a small number of the 447 teams through U7’s to U11’s unhappy about the Groups they have been reallocated to. Let me explain the rationale in sorting these Groups out. At the end of Part 1 the results were collated into an overall League table which we are allowed to do to seed the groups, but cannot publish. If you were an existing team with a record of results from previous seasons then these results were added to those and an average points gained calculated since your team started. So if played 50 games gained 50 points average points score 1. New teams who were usually grouped together in the 1st part had their records created and an average points score calculated. Then the “Table” is generated which ranks them from 1st to whatever on their average points score. I then work out the Groups from this “Table” I know where the teams played in the last part as I colour code the team to match the Group and I try not to move anyone up or down by more than 3 groups. It is complicated by trying to fit in the new teams who in some instances their average points score puts them clearly out in front. There is however no track record of these teams and I have to try and temper their new groups with their results and basically put them in what I believe is a relevant group and hopefully contains teams of similar abilities. The system is not perfect and can’t take account of each team’s player’s ability but it is the best we have at present and I believe there are around 20 teams that aren’t happy so presumably the other 427 are!! We do circulate the groups at the start of the season for comment and managed to move a fair few following requests at the start of the season. However between the two parts there’s not enough time and even though I’ve sent out a list of teams to check the formats in already apparently 2 didn’t check or reply and are wrong, so I now have to redo those because they are in the wrong format. 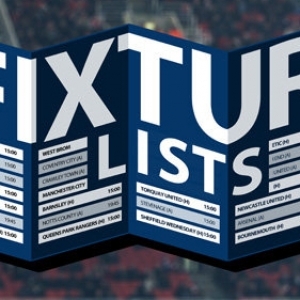 We unfortunately don’t have hours to study all the results as we like you are volunteers and do these fixtures in an evening or on a lunch hour or at a weekend. I have often stated that if you start at U7’s then by probably U9/U10 you are in the right group usually. We try our best to manage the teams into correct groups but in all levels of football it is not possible that every Group will have totally competitive games. There’s always stronger and weaker teams. There are measures in place for teams to manage these mismatches so both teams are tested. If they aren’t following these rules then let us know so we can challenge them as to why not. If anybody has a better way (we’ve been asking for years now) then we are open to them. But I hope this explains the difficulty in sorting out Groupings for 457 different teams.